London auctioneer Roseberys is to offer a previously unpublished sketch by John Constable on March 21. 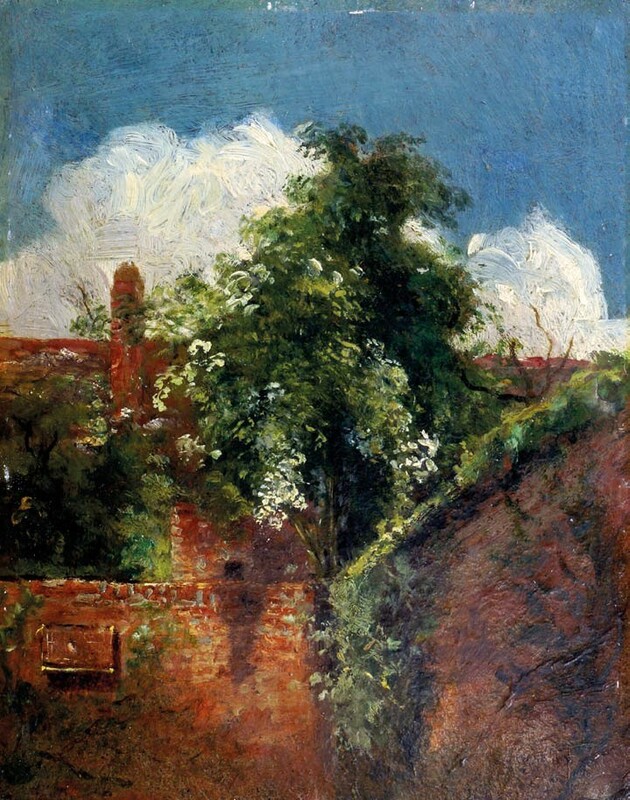 'View towards the back of a terrace of houses, with elder tree' by John Constable (1776-1837), estimate £20,000-30,000 at Roseberys on March 21. The oil on board, with the descriptive title View towards the back of a Terrace of Houses with Elder tree, represents the fruits of four months of research for Roseberys. Anne Lyles, former curator of 18th and 19th century British art at Tate Britain, and Constable expert, has provided the cataloguing. She has confirmed the 7 x 6in (18 x 14cm) study relates closely to a number of similar works made in Hampstead c.1821-22. Constable first took lodgings in Hampstead in the summer of 1819, then a village about five miles north of London, for the benefit of his wife’s health and that of his young family. For two consecutive summers in 1821 and 1822 he rented a house at 2 Lower Terrace, close to the edge of the Heath. In keeping with related Hampstead sketches from this period, including two once owned by Isabel Constable who was born at the house in 1822, it is painted on millboard. Its provenance includes the former US ambassador to the UK, John Hay Whitney (1904-82).